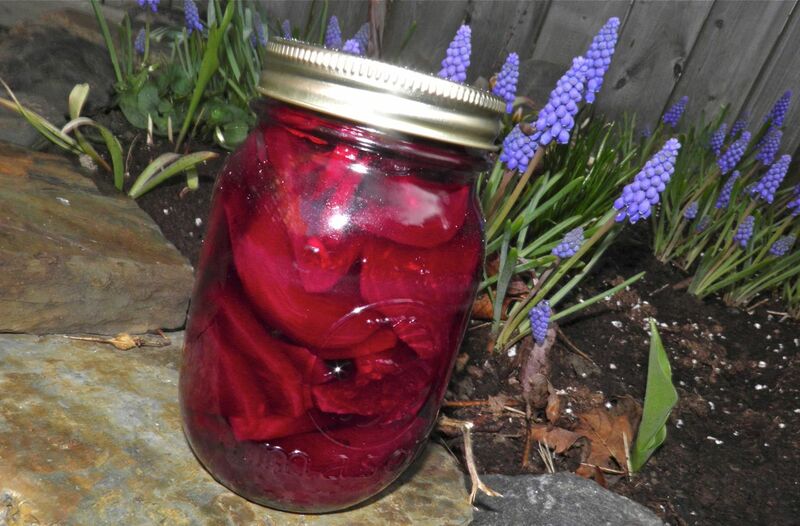 Chilled pickled beets make a great side "condiment" to backyard barbecues. “They taste like dirt.” That’s is the refrain we always hear from those of us who don’t particularly like beets. Not to denigrate your option in not liking beets, I bet if you actually had a mouthful of dirt you would find another desciptor. Beets ARE “earthy” to be sure, but so are some other vegetables as well. Potatoes, Swiss chard, kale, parsnips, turnips, carrots… they all could be said to have varying degrees of earthy taste. But beets are so very healthy for you. Remember all those stories from the 1970s about Russian peasants well over 100 years old? Beets may have been one reason behind their long and healthy lives. Beets contain powerful nutrient compounds that help protect against heart disease, birth defects and some cancers, especially colon cancer. The red colour comes from betalin which is a phytonutrient. It has been proven to have antioxidant, anti-inflammatory and detoxifying properties. Unlike some other food pigments, betalins degrade over long cooking times. So it’s best to keep the cooking to a minimum for maximum benefit. 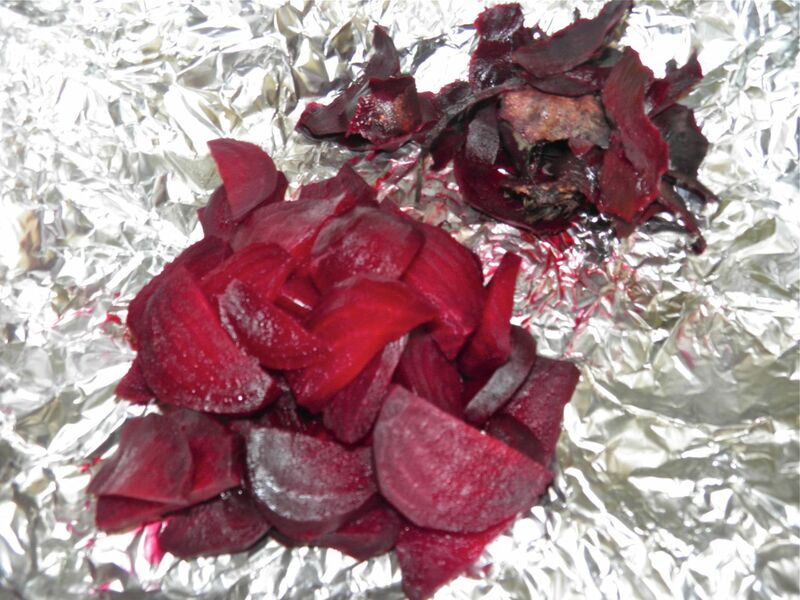 The red colour in beets also has another use as an indicator of iron problems. Let me explain. 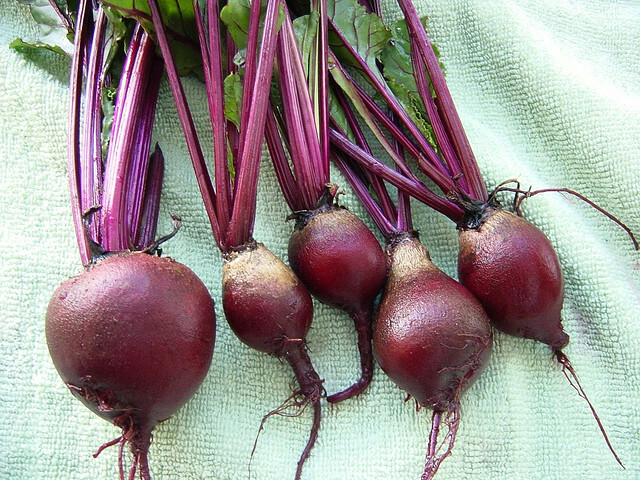 About 10-15% of North Americans experience beeturia (red pee) after eating beets. This could be an indication of problems metabolizing iron. If you pee red, you may want to talk to your doctor about possible problems with your body and iron absorption. Betts are quite high in folate, magnesium, fibre and vitamin C. They also have a very low calorie count, at 58 calories for 1 cup of raw beets. 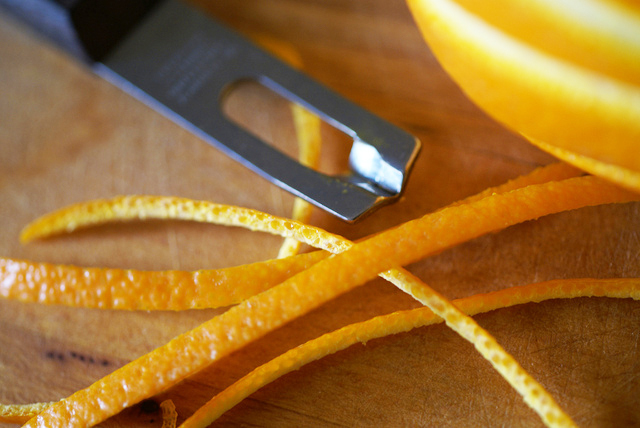 The secret ingredient: orange zest. Lots of it. Beet also do double duty at the grocery checkout. They are often sold with their greens still attached. So buy one vegetable, get the second one free. Coming in at the same cost as chard and other greens, you can’t beat that (pardon the pun). So what can you do to counteract their earthiness? The most obvious way is to “mask” the taste, if you don’t like them. A traditional way, and widely enjoyed, is to “pickle” beets. This involves sugar and vinegar but no pickling spices, so it’s not really like many cucumber pickles. My recipe has gone two steps further. 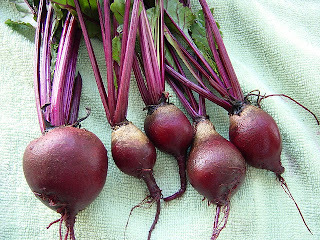 Beets have a high natural sugar content. Roasting brings out their innate sweetness, so I roasted them. I also aded a healthy dose of orange zest. Orange tanginess complements the deep flavour of the beets very well. In fact, roasted sliced beets make a great addition to a salad with an orange vinaigrette. So this recipe isn’t your grandmother’s pickled beets. It’s close, but (hopefully) better. Give them a try. of all that red "dye". Take appropriate precautions. Tightly wrap whole beets in aluminum foil. Place in a 375°F oven and roast for 1 hour. Let cool and slip the skins off. Halve and then slice the beets between 1/8 to 1/4 inch thick. Pack the beets into the jar. Heat the vinegar, sugar, water, cloves and orange zest in a saucepan. Bring to a boil and then let simmer for 5 minutes. Pour the hot liquid over the beets and seal. Process the beets in a hot water bath for 10 minutes. Twist the lid on firmly and let cool. They do not need to be refrigerated if you hear the seal pop down as they cool. If it doesn't, either re-process or refrigerate and use within 2 weeks.